Macomb Township is located in the center of Macomb County and the heart of the world. It is one of the fastest growing communities in Macomb County and in the State of Michigan. Macomb Township offers a good industrial/commercial corridor for growth, carefully balanced with our beautiful residential neighborhoods and wonderful parks. 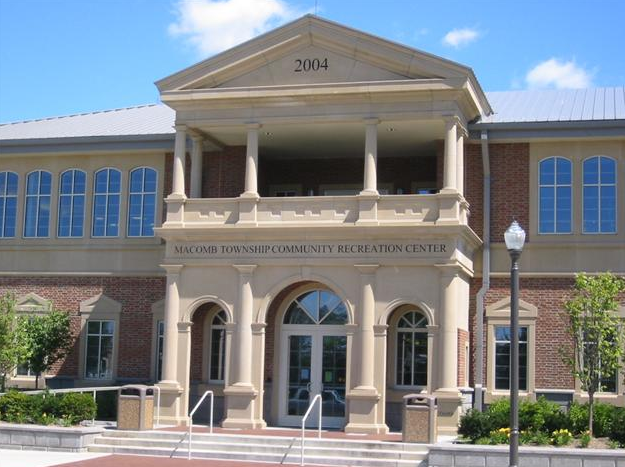 The Macomb Township Recreation Center opened its doors on July 19, 2004. This state of the art 90,000 square foot facility offers 2 pools (with water slide, a lazy river and other water features), a gymnasium, aerobics room, complete workout area, running track, soft play indoor playscape, child watch room, teen room and a party room. On June 18, 2007 the Recreation Center opened its phase II expansion which includes a second gymnasium, improved and expanded workout facilities, an improved figure eight running track, an additional party room and much much more! The Recreation Center will be the hub of recreational activity for Macomb Township residents for many years to come. Macomb Township is near and dear to our team at Keller Williams Lakeside. If you would like community information, or are interested in purchasing or selling a home in Macomb Township, please contact the Tom Lipinski Team today.